This bed mechanism raises at the back section only and is useful to help the user get out of bed by raising the back up and making it easier to turn without the strain of lifting yourself up. 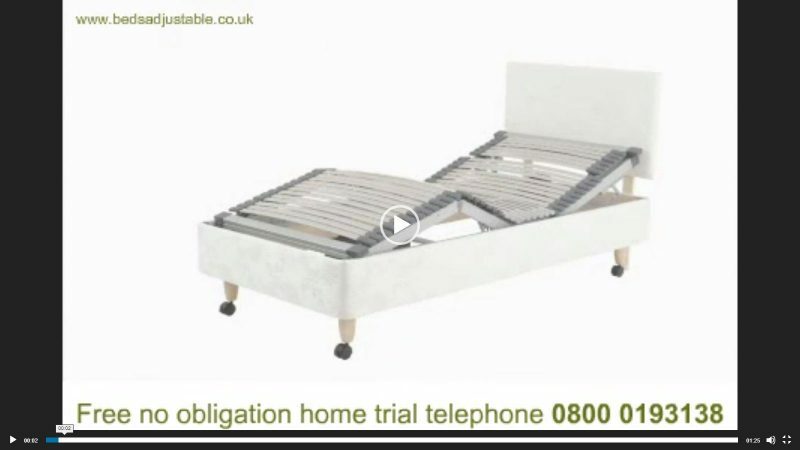 This bed mechanism raises the back independently of the foot and does the same as the single motor bed but with the benefit of straight leg elevation for oedema. A standard UK mechanism, probably the most common used in adjustable bed that will lift the head section with an extra “pillow” movement at the very top and a bend in the leg section to give greater support to the legs. Our most popular mechanism designed for the shorter person. This mechanism is similar to the 5 part mechanism without the “pillow” movement and designed to fit to the persons body dimensions better and with a few other extras. These mechanisms are designed for the heavier person with weight limits of up to 33 stone in a domestic looking adjustable bed. 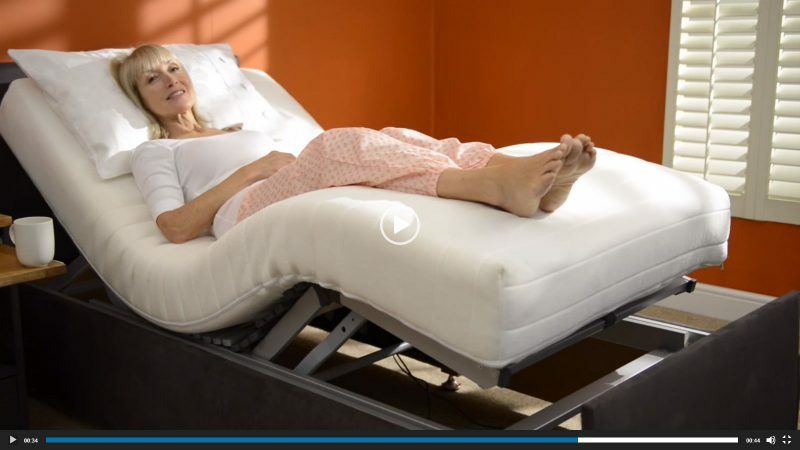 The most advanced adjustable bed mechanism, with over 1 million possible positions on a simple 5 button remote control. Designed for ultimate comfort or a more specialist medical condition like chronic back problems, oedema, or chronic arthritis. This mechanism is designed not only for the ultimate in comfort for the user, but also to help carers and prevent future back problems.